Already in the 6 short months since I began Home Glow Design, I’ve counseled a few people who had either just bought a house or were building and called me after they got into color trouble. They’d been trying to go it alone, figuring paint is paint and not wanting to spend the money getting guidance on something they could pick out themselves by going to the paint store. After they actually moved into the spaces, a few things happened. 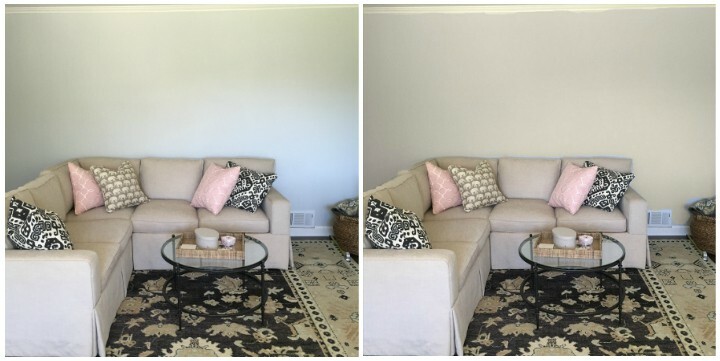 They realized that the gorgeous gray family room they wanted actually looked purple. Or, for some reason, the “neutral” wall color they chose to go with the newly installed “neutral” carpet inexplicably clashed. Can you pick out the color perpetrator from the lineup? 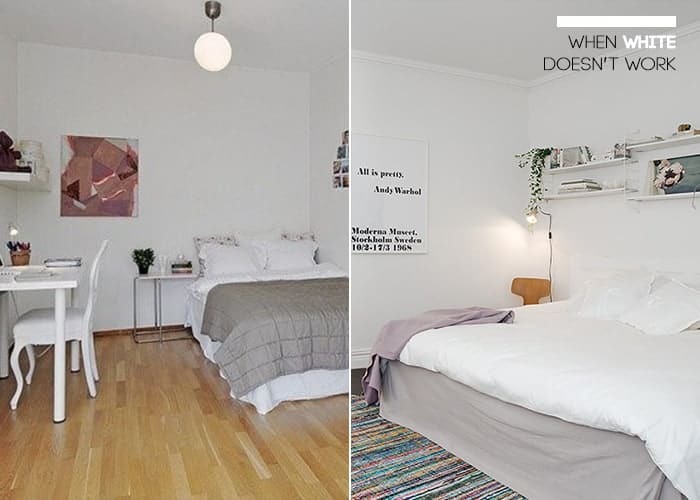 Or the white color that supposedly so many decorators recommended didn’t have nearly the “glow” that it does in all the pictures they found online. 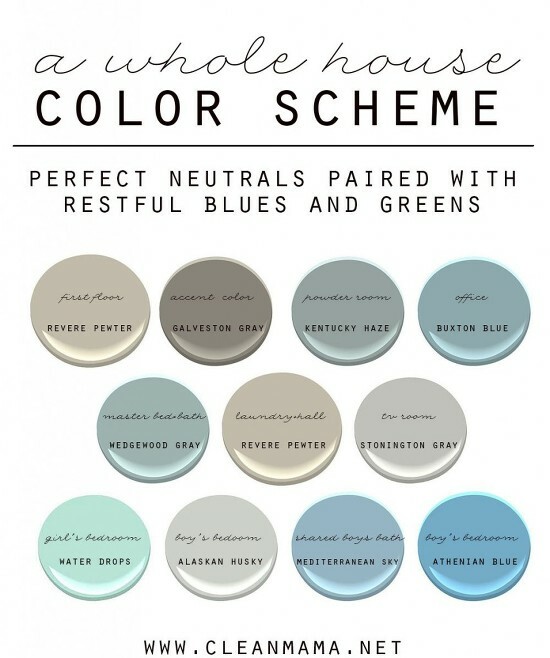 Or they saw someone else’s whole color palette online, loved it, and applied it to their own home. So what went wrong for my clients? You just can’t trust the internet. Lighting: This is a biggie. How much natural light does the room get? Does your room face north? Northern light is blue in color and will give a room an even cooler feel. East and west facing windows give either warm or cool light depending upon whether it is morning or evening in the room. Southern exposure will give you the truest color read at all times of day. Furthermore, you need to think about what’s outside your windows — A hill? Tons of green? A blue ocean? (don’t we all wish for that?!). A covered carport? All of these scenarios will color the light that is coming through your windows. What about non-natural lighting sources? Are they incandescent or florescent; are there tons of lights, or way too few? These all impact color. Never choose colors at night with all the lights on only. You must look at them during the day in natural light as well. Context/Reflectivity: What is surrounding your color choice? It all affects your perception of color. What is your trim color? Dark trim will make a wall color appear lighter, and lighter trim will make it appear darker. The same goes for your behemoth dark brown sofa or your blue-gray carpet. Shiny surfaces like hardwood floors and countertops reflect themselves onto the walls as well. Sheen: Different sheens (flat, eggshell, satin, semi-gloss and so on) all reflect light differently and therefore our perception of color. Trusting the internet: Folks, pictures you see in magazines and the internet have been edited BIG TIME. Color may look nothing at all as it does real life. Editing may have been done for lighting and color correction purposes, or just because the editorial team likes the edited color better. Morever, the internet has no idea of the context in which you will be painting. Undertones and tint formulation: This is the biggest reason of all. 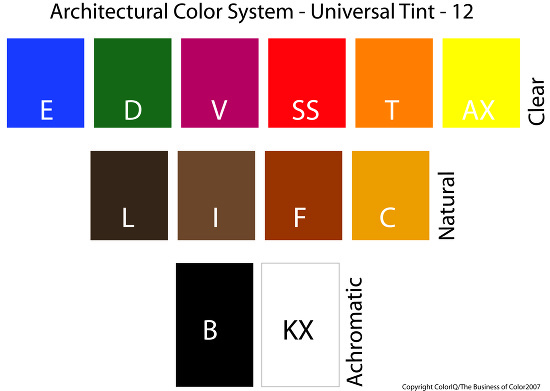 Every architectural paint company has its own tinting system, but they usually use around 12 different tints to make all of the colors in their fan decks. Those tints are what determine your color undertones and how they will play with all of the above reasons. Misidentify a color’s undertones — or don’t do it at all — and you could be in for a mess. Get the undertone right, and you’re on your way to a lovely, well-coordinated interior. Bases and Tints and Undertones, Oh My! Most paint companies use 3 different bases and 10-16 tints in their color systems. These tints are usually separated into clear tints, natural tints, and achromatics. In grade-school art class, most of us were taught that blues, greens, and purples are cool colors and yellows, oranges, and reds are warm. In architectural color, there are warm and cool renditions (“temperature”) of every color in the rainbow. Warm colors have natural tints added during formulation, while cool colors utilize mostly clear tints. Teresa explains this beautifully in her blog post What Makes Architectural Color So Confusing? Color temperature must be kept consistent in a room if you don’t want a warm/cool messy clash. In addition to temperature, every color has one of four undertones: red, yellow, blue, or green. The rooms that are most harmonious keep undertones consistent. What if your undertones are mixed? We’ll get to that. Personally, I find that I — and most people for that matter — prefer warm versions of colors and feel that they are most inviting, at least when you’re in a home environment. If I go to a spa, then I can take a cool grey for an hour or two, but I don’t really want to do my cooking in a kitchen that feels like an ice box. That’s purely personal preference. My color scheme is already a mess. So now what? 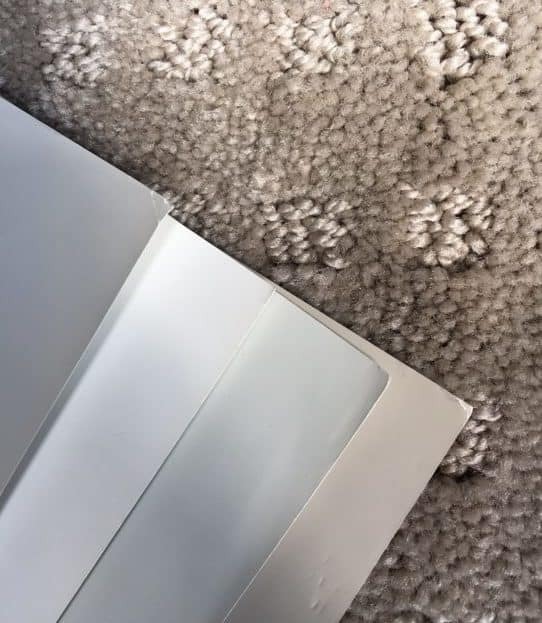 A long-distance client I’m working with very generously has allowed me to use in-progress photos of a room in her house that we are working on over an extended period of time. She had the whole house painted before her family moved in. They didn’t have much furniture, so they didn’t have any fabrics, rugs, or art from which to draw an initial color palette (Having an inspiration “something,” btw, is the best way to begin working IMO. SOOOOO much easier to match paint to other sources of inspiration than vice versa.) She wanted Carrara marble with a lovely gray veining for her countertops in the kitchen that is open to the family room, so she chose a gray she found on the internet for the walls of both rooms, and off they went into the sunset. Except that the room faces north, not west, and gets blue light. You know what happened to the room, right? It turned blue. The room in the house she want to be the homiest just happens to feel the coldest. The blue light from the north facing light just magnified the paint’s blue undertone even more. What to do? Well, she could live with it. It’s not that bad. The taupe sofa has a blue nuance to it that helps bridge colors. Or, she could admit that she made a mistake and repaint. She chose the latter. 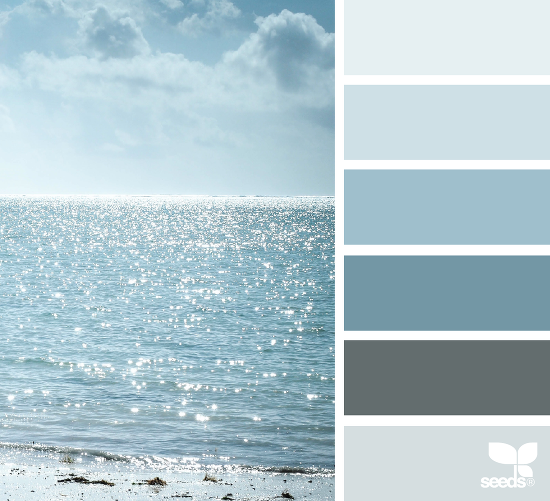 We ended up picking Sea Salt from of Benjamin Moore’s Color Stories, a line of full-spectrum paints. Full-spectrum colors are very complex and can be composed from up to 12 different tints, excepting black. Because they don’t have black, full-spectrum colors tend to keep their character even in low light scenarios. Furthermore, Sea Salt is an achromatic, so we knew it would work with both my client’s sofa and rug and the marble in her kitchen. Achromatics are the chameleons of color, being influenced by the colors surrounding them because they have nearly equal part of so many tints and allowing them to bridge numerous disparate adjacent colors. My client hasn’t yet painted (still waiting for that December bonus check! ), but we did do a little photo editing to see what the final product might look like. I wouldn’t, however, use photoshopping a picture as way to determine your color!!! Your monitor has no idea of lighting. We were just playing around after we already chose the color and knew it would work in the setting. Want to Get Your Paint Right the First Time? You’ve heard it before: TEST IT! But pleeeeease don’t do this. You should never compare colors side by side. They influence your perception of each. Frankly, who cares if a certain gray looks green when next to a gray that has a blue undertone. What matters is that it looks right in your room when it’s all by its lonesome. Never paint directly on the wall. Come on! The beige is bleeding through, lazybones! Take the extra time to get some white poster or foam board and paint two coats! Don’t put white poster board behind your sample to “try to get a better idea of true color.” It will actually make your color look darker than it is. Try your samples behind your soft furnishings — the sofa, drapes, etc. — to see if the undertones play together nicely. Lastly, don’t hang your samples in the middle of the wall. To cut down on competition from the existing color, hang them next to your trim in corners (don’t forget in the corner down by the floor to make sure that they go with your floor’s undertones! ), doorways, etc., in different areas of the room and see how the light changes them during the day. 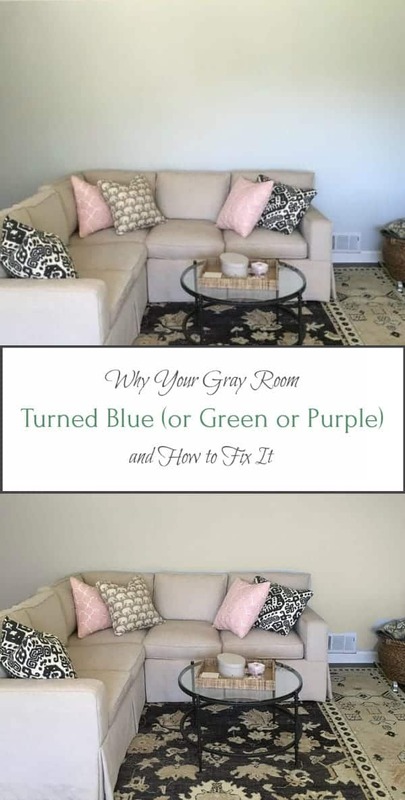 If you’re still confused or overwhelmed or just don’t want to make a mistake, call a color consultant. 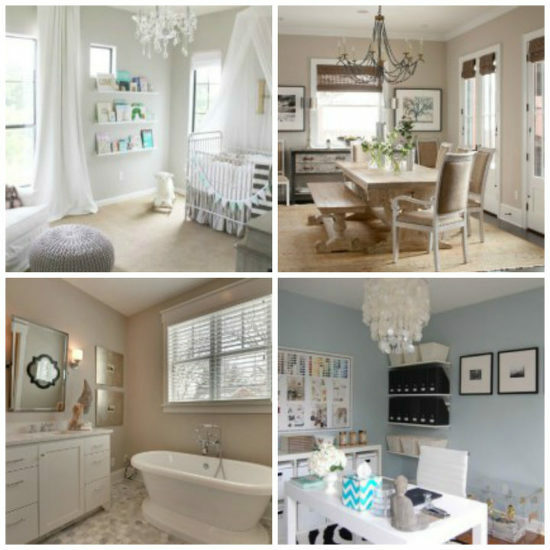 A color consultant can save you hours and money and infinitely decrease your anxiety. And you won’t have to go back to your husband six months later and tell him that you need to budget for a repaint job with next year’s Christmas bonus. My southern room with plenty of natural light and no obstructions outside the windows is the room turning colors blue. Both Revere Pewter and Behr’s Wheat Bread turned blue. The floors are a natural oak and the furniture light brown. Why is it turning blue? It doesn’t seem to follow the rules of your post. I really wanted to love Revere Pewter but it’s blue in that room. Blue. And a muddy mess in my kitchen with its northern and western windows. Help! my husband rushed me to choose a paint color for our new addition master bedroom. 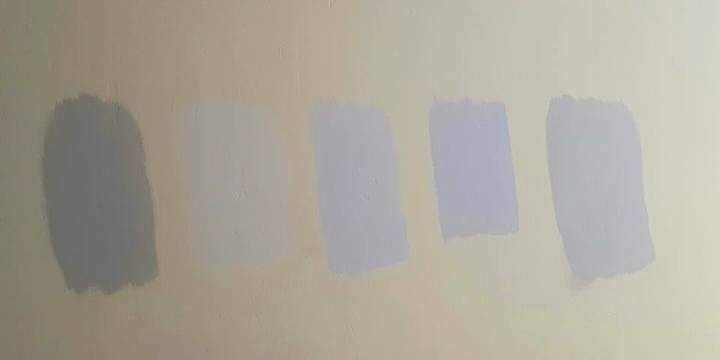 I wanted a clean pale blue but it turned out a gray lavender which looks like a baby girls room. Hi Rebecca. Not sure where you read the comments about black accents and coral and white trim…. No kind of fabric is really going to “correct” a paint color. 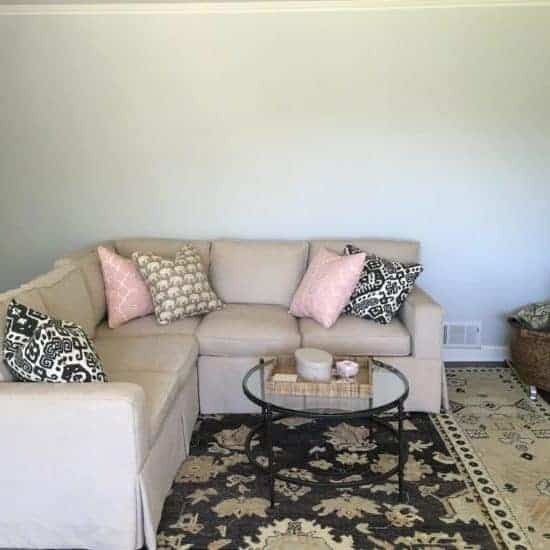 You can coordinate with what your gray/lavender (for that, black and coral accents might be nice choices), or try to bridge it as best you can, but you can’t make it go away. Not without repainting.